I have been dealing with horrible chronic lower back pain for years. It became significantly worse during and after my second pregnancy ( 4 years ago). Ever since then, I have woken up stiff and dealt with pain daily. Sitting on the floor to play with my young sons was incredibly painful. As anyone that has had chronic back pain can tell you: it is debilitating, and it affects the quality of your life. No joke. I tried everything; yoga ( temporary relief, but no long term help), stretching (temporary relief, but no long term help), massage, chiropractor ( no help) and acupuncture ( best results, but pain came back). Finally, I decided to purchase a mattress topper for my bed and voila- I kid you not- my back has gotten significantly better. It is all but gone (I still carry a big 3 year old around so I do have a bit of back pain on occasion but nothing like a couple of months ago!). 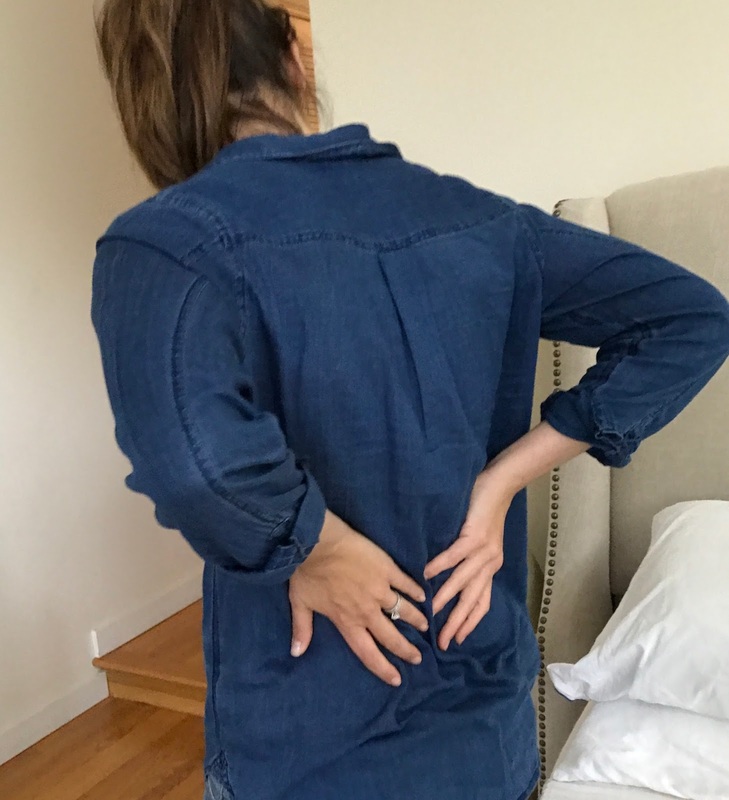 Clearly, not all back pain has the same cause and thus, this might not be the solution for everyone, but in my case it has been life changing. I wish I had figured this out years ago, especially during my pregnancy - I could have saved myself countless sleepless nights and uncomfortable mornings! Given my background in non-toxic living I did want to make sure I did my research before buy a mattress topper- since, just like a mattress, whatever you buy could potentially be exposing you to chemicals at very close proximity for hours every single night. I soon learned that the most popular toppers, memory foam mattress toppers, contain some pretty nasty chemicals (Petroleum based memory foams are made using known carcinogens and have been linked to itchy eyes, respiratory issues, headaches etc. They give off voc’s you can smell, and can contain flame retardant chemicals) that I did not want to be breathing in on a daily basis. Natural latex, thus, became my material of choice. Why? It is best for your health. Latex is hypoallergenic so it’s great for allergy sufferers or for people who suffer from hay fever, asthma and respiratory problems. Latex allergies do exist and some allergists recommend that babies and young children avoid latex. If you are allergic to latex, a natural latex topper probably isn't the best option. Natural latex is anti-microbial. Rubber trees have a protective anti-microbial “milk” to protect it from damage, which in turn prevents fungus, bacteria and dust mites from survive inside a latex mattress. Natural latex is very durable, the topper (or a mattress, if you choose) can last up to 20 years. Latex foam allows air to flow through the foam. Because of this, latex foam remains heat neutral and will not absorb body heat. Some mattresses and toppers that claim they are natural latex are, in fact, a blend of natural rubber and toxic chemicals. Do you research, ask the company if they add chemicals in the process of making latex (taking it from the tree and forming the solid topper/mattress). Usually a safe bet is: A 100% certified organic latex mattress with certified organic cotton and untreated wool in the cover/ top layer (this is naturally flame retardant). Look for : Ideally, GOLS certified organic latex, so that you know you are getting the purest natural latex available. It is not GOLS certified organic latex but is: EcoInstitut, Okeo-tex and Greenguard Gold certified. It is made in the Dunlop process (springy and reactive but not “bouncy” like Talalay process - another type of latex foam) which I find gives my body the support it needs. Certified Organic Latex Mattress Topper by Organic Textiles. Medium firmness, 2-inch thick. Queen size. Premium Version - All Organic. Organic Textiles LLC's Organic Latex Mattress Toppers have the GOLS certification and offer two thicknesses: 2" and 3"